Discovery Inc. is charting its own course in the streaming wars. While competitors Disney and WarnerMedia plan their own branded streaming services, Discovery is laying the groundwork for a two-pronged approach to streaming. The “Go” strategy is built around apps that make it available for free to pay-TV customers. That includes subscribers to streaming bundles like YouTube TV and a targeted direct-to-consumer strategy, with robust offerings that fit specific, albeit popular, niches. At its upfront presentation for advertisers Wednesday evening, Discovery CEO David Zaslav positioned the company’s “Go” apps as an ad opportunity equivalent to some of the company’s largest cable channels. He added the company wanted its channels “to be in every bundle,” streaming or linear. “Unlike CBS, HBO, ESPN, Amazon or Netflix, our Go apps embrace advertising, they are free to all cable homes. They are comparable to other streaming leaders with 17 million unduplicated visitors monthly,” Steinlauf added. At the same time, Discovery is investing in its own direct-to-consumer offerings, starting with a pair of major bets: a natural-history service anchored by content from Discovery and the BBC, and an upcoming service from “Fixer Upper” stars Chip and Joanna Gaines. The natural-history service will launch in 2020, built around programming like the “Planet Earth” and “Blue Planet” series. The Gaines' OTT service remains a work in progress. Discovery says it will be a “view and do” experience, encouraging viewers to take on their own projects, and will include short-form and long-form content. It won’t launch until after the Gaines launch their new TV channel in 2020. 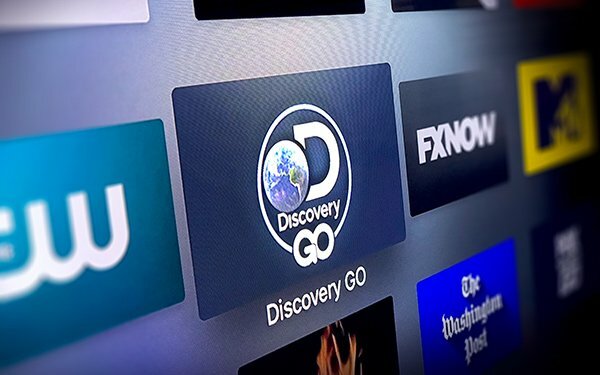 Steinlauf noted that all of Discovery’s offerings would include some advertising or sponsorship element, a key source of differentiation compared to much of the competition. “TV remains the most powerful medium to tell your brand’s story, but there is a new reality. Consumers now face an avalanche of content. In our opinion, way too much of that content is commercial-free,” Steinlauf said.